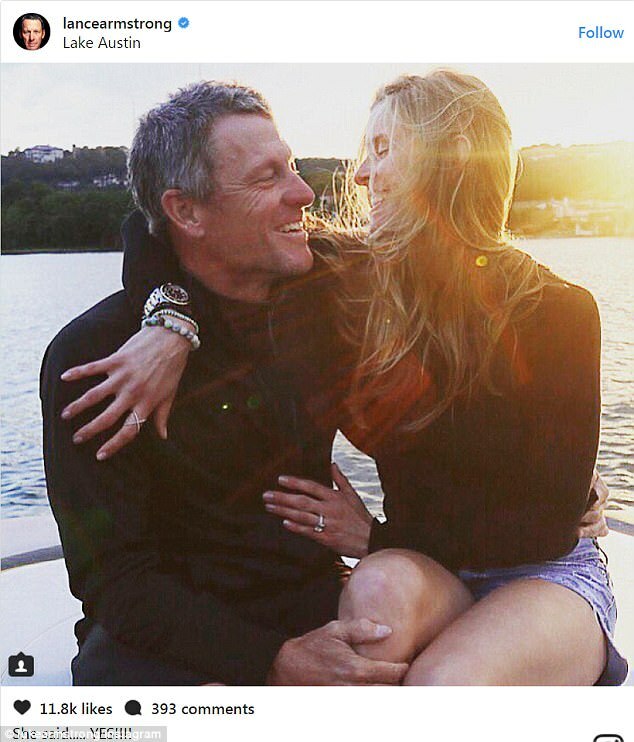 Lance Armstrong pops the question to Anna Hansen | Daily Mail Online: "Lance Armstrong will be walking down the aisle again. On Tuesday the cyclist announced he popped the question to his girlfriend Anna Hansen, 34. They met 10 years ago and already have son Max, seven, and Olivia, six. And the 45-year-old - who has been linked to Kate Hudson, Sheryl Crow and Tory Burch - shared a photo of the two of them after the proposal. Anna's ring can be seen in the image. "